What Are all those Purple Dots on 12 Green? | Westbrook Country Club Greens Dept. The purple dots on number 12 green have raised lots of questions this year. The dots are corners of a 40 ‘3×5’ plots. The plot is a study that is being done by The Ohio State University Plant Pathology Department under the direction of Todd Hicks. 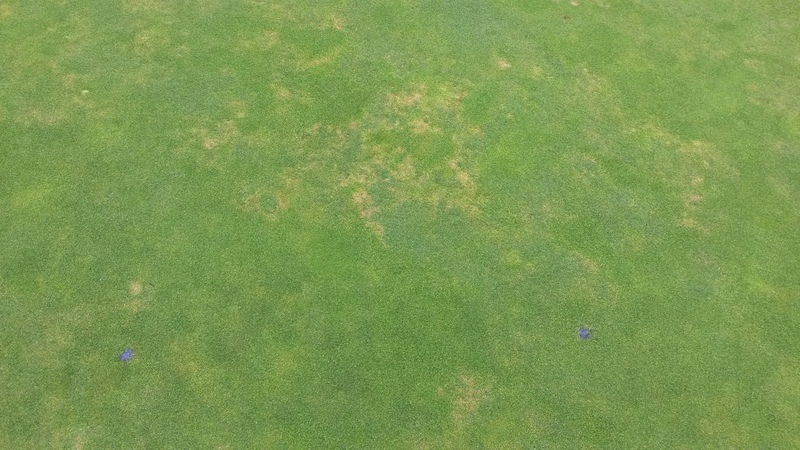 This plot is a specific study to evaluate the effectiveness of fungicides being applied at different rates. 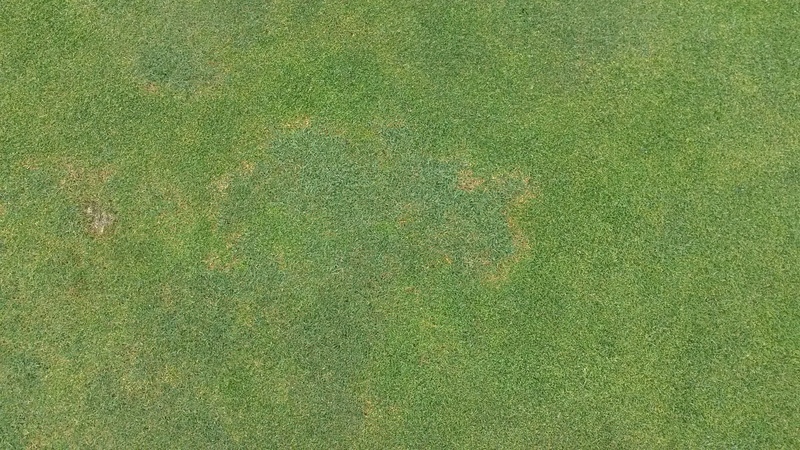 This test plot is specifically looking at fungicides that prevent summer patch which is a common turf disease. How does Westbrook Country Club benefit? We benefit by having a plant pathologist on site every week to help diagnose any disease problems before they come problematic. Not only is the test plot itself looked at and studied but other greens, fairways, and tees are looked at as well to make sure that optimal playing conditions are being offered on a weekly basis.